develops an rancid aroma just like the really cheap coffees you can buy in supermarkets. I'd recommend to buy the cheapest ready-ground coffee you can get your hands on to experience this. Alternatively you can smell an espresso machine that hasn't been cleaned since yesterday, or leave your French press overnight to find the same rancid aroma. In fact, even though Italian and French are said to produce good coffee, this is one of the defects I've noticed being very common in these countries. One reason is probably that the fat in finely ground espresso is prone to go rancid much faster than coarser grinds more common in countries further north since contact with air/oxygen and light combined with elevated temperatures are promoters of fats in the coffee (and fat in general) going rancid. this can result from a variety of reasons. 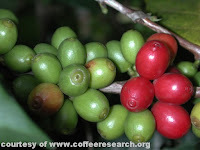 In areas with unstable climate (rain) the skin of ripe coffee fruit on the tree might burst/crack due to sudden increase in water content giving rise to mould. Secondly, in cases of natural/dry processing combined with uncritical harvesting (mixing ripes and unripes), humid climate or poor drying might give rise to mould because of uneven drying. Thirdly, dirty equipment and washing basins will give rise to microorganisms/mould. The mouldy flavour is easy to recognise as it simply takes on a mouldy/musty aroma and flavour. coffee (picture by courtesy of www.coffeeresearch.org). 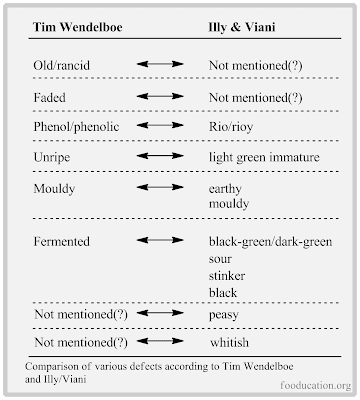 Fermented beans vs. "fermenty style"
Fermented defective coffee might have an unpleasant vinegary acidity as opposed to a pleasant fruity acidity found in some high quality coffees in which the acidity has more winey notes. Coffee gone really far in this direction might have rotten onion-like flavour notes. 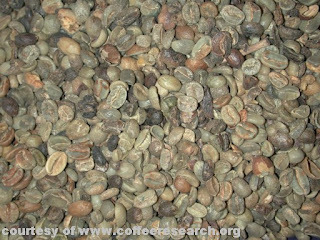 "Fermenty style" coffees, such as natural/dry processed coffees, have by purpose a slightly fermented flavour but this is considered a virtue rather than a defect. It is a matter of taste, I suppose, whether you appreciate this and in my opinion well processed fermenty style coffees might have a wonderful rich fruitiness that I find very enjoyable. 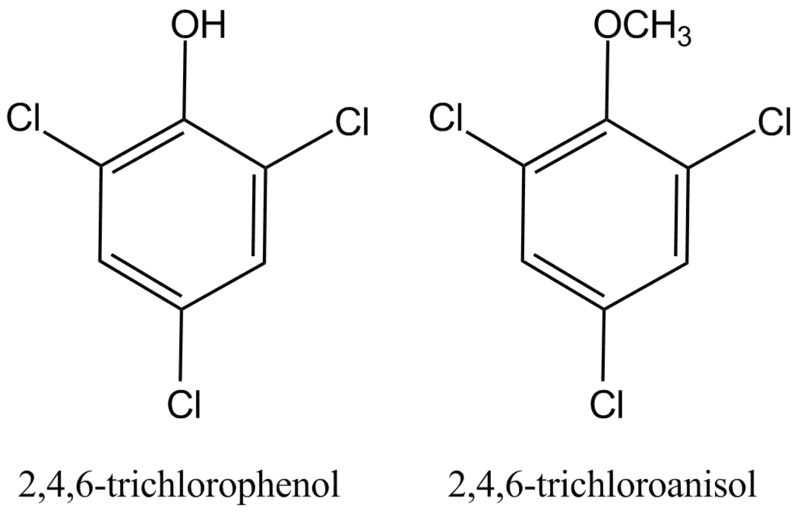 flavour are 2,4,6-trichlorophenol and 2,4,6-trichloroanisol (TCA). TCA is also found in corked wine, musty/muddy flavour in sake as well as off-flavoured raisins, so that's your taste reference if you want to look for it. 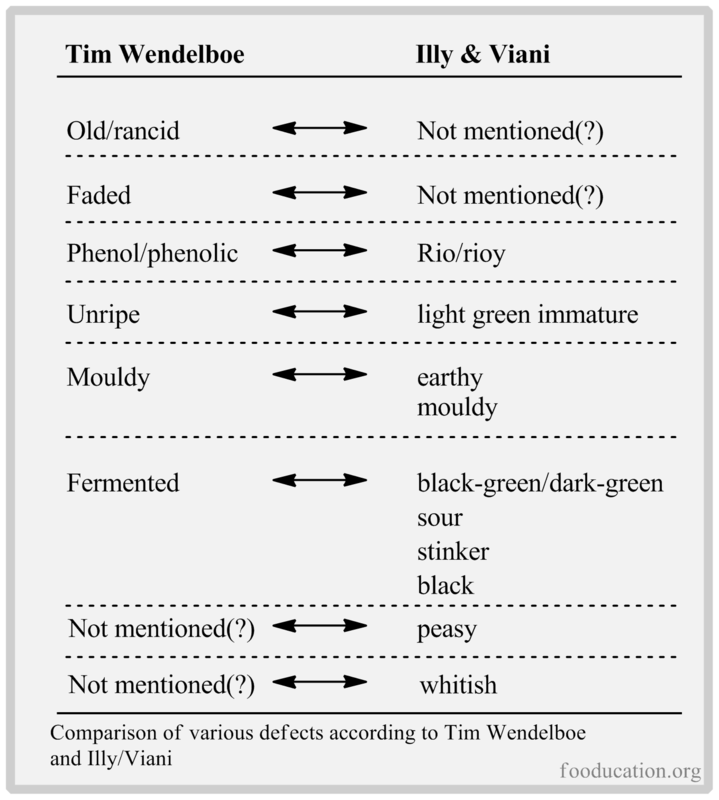 Illy & Viani report, as Tim, that the origins of this defect is not yet clear. I've done a literature search and could not find any info on the origins either, so it seems we are still in the dark on this. However, this blog post by Tim reveals that he has seriously taken on the quest to single out how or why this mysterious and detrimental off-flavour arises and in the seminar he indicated that one characteristic he suspects might be relevant to look for is cracked cherries (resulting in uncontrolled fermentation). This is not a bad bet, taken that researchers have assumed that microorganisms might be a key element. It would have been fun if a roaster rather than researchers was to find the key to the origin(s) of this much discussed defect. Clearly, they have different views on what defects are interesting, and the uppermost two defects are characteristic of what happens to coffee after ended harvest and processing, starting from storage of finished green beans to the point in time when you brew your cup. This period is clearly not the focus of Illy & Viani in their chapter on defects. Also, Tim bundles together all fermenting defects but gives various the reasons for this (these) defect(s). From my point of view, Tim's perspective is the most relevant because it has it's focus on my experience of the coffee in the cup, not to mention what I should look for when I spend money on speciality coffee. Much the same as a wine enthusiast would be interested in when it comes to cork taint in wine. Spadone, J. C., Takeoka, G., & Liardon, R. (1990). Analytical Investigation of Rio Off-Flavor in Green Coffee. Journal of Agricultural and Food Chemistry, 38(1), 226-233. 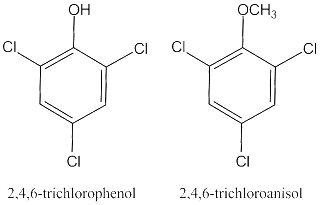 Tim Wendelboe - Blog post from February 2011 containing comment on phenol off-flavour: "A day in the life of Jobneel"
Just for the record, Malabar, Old Brown Java, etc is trying to replicate faded / past crop coffees, not stale / rancid coffees from being roasted long ago. 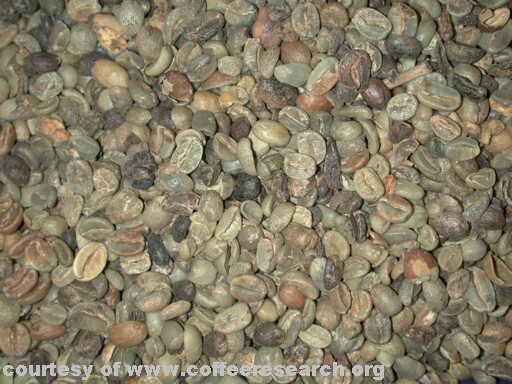 Malabar is more of a process to make coffee taste woody and have less acidity.